In the past few days I've really been craving light summer food. I wanted strawberries and cream and cake and meringue and cotton dresses swishing in the summer breeze around my bare legs. This ticked all the boxes. (Well, to be precise, the weather ticked the last one). 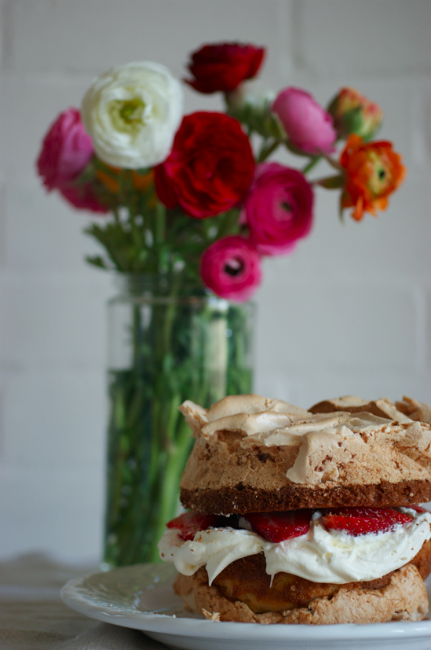 I remembered this cake from Nigella's Forever Summer and thought it would be perfect for today. I didn't have the book as it's at home but I found the recipe online at Not Quite Nigella. 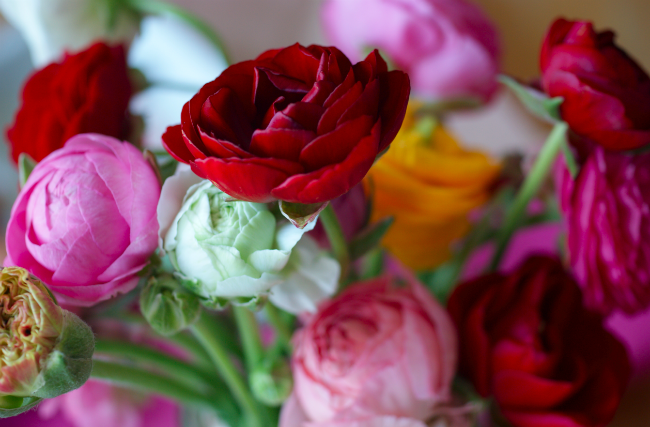 Today I also picked up my new lens - a F2.8/50mm macro. I haven't entirely sussed it out but I'm very pleased so far. It's very different from my kit lens. I've had a lovely day messing around with it and baking this cake. (I did some work for my essay too, I promise). 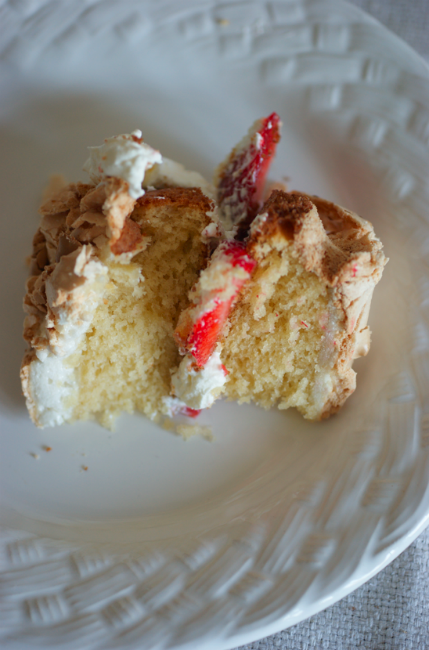 The first slice I had was wonderful - the cake itself was still slightly warm and incredibly light and moist. 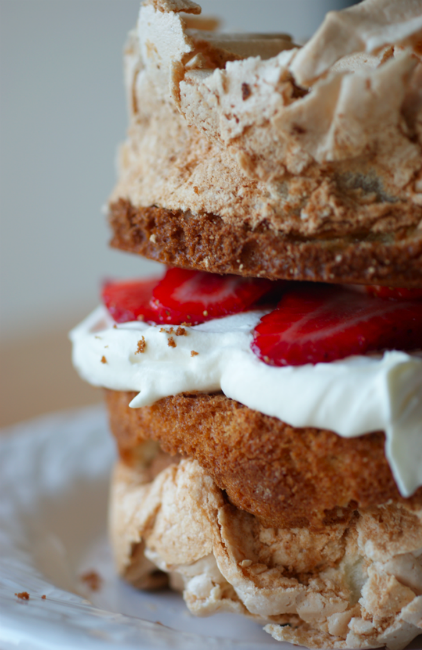 The crunch of the meringue against the soft cake and creamy filling provides a wonderful texture. And, of course, the strawberries are perfect in the middle of cream and sugar. Ever other slice has been yummy too, but that first slice really made an impression. As usual, I made a few little changes. I didn't have any flaked almonds so I kept the tops simple. I also didn't want the cake to be overly sweet, so I added a little greek yogurt to the whipped cream to take the edge off it and complement the meringue. Preheat oven to 180C. Line the base and grease the sides of a 5" round loose bottom tin. Cream the butter and sugar together then add the egg yolks one by one, beating well in between. Sift the flour, baking powder and cornflour over the top and fold in (mine was really quite dry). Add the milk and vanilla and fold to combine. Spread half of the mixture evenly in the bottom of the tin and reserve the other half. Whisk the egg whites until foamy then gradually add the sugar. Beat until you have stiff shiny peaks - this takes about 2 minutes. 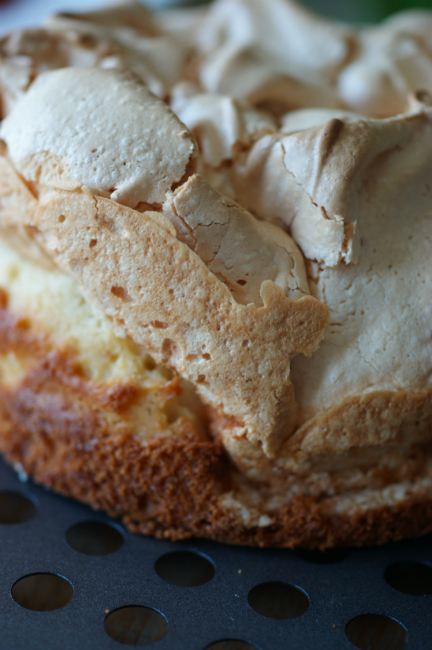 Spread half the meringue over the cake mix and create a few decorative peaks. Put into the oven and bake for 15-20 minutes or until golden brown. Leave for five minutes then slide a knife around the edge and remove to a cooling rack. Clean the tin and repeat with the other half of the cake mix and meringue. Whip the cream until it's fairly stiff. Fold in the greek yogurt. Choose the cake half with the least attractive meringue and turn it over onto the serving plate and spread the cream mixture over the cake. 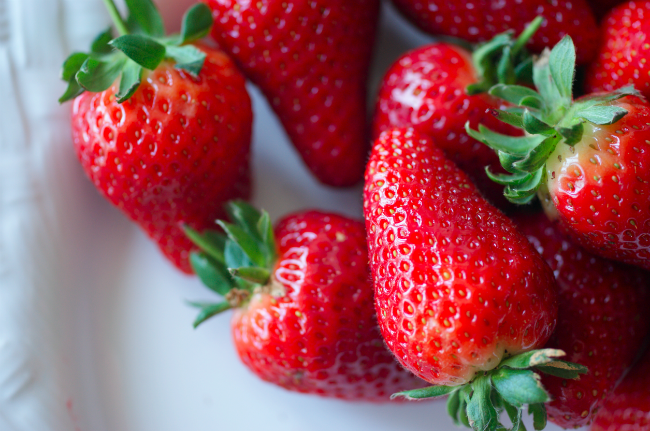 Slice the strawberries and arrange them in a double layer over the cream. Top with the other half and squish slightly. Oh boy. Looks so good. Its a proper winter like day here in Edinburgh, rain, fog, the lot! A bit of summer cake like this would help to cheer our moods up. Have fun with your new lens! I just want to pick it up and shove it in my face. It looks that good. Wow... this caught my eye. Looks delicious. I've made a Nigella Lawson lemon meringue cake that was fabulous. 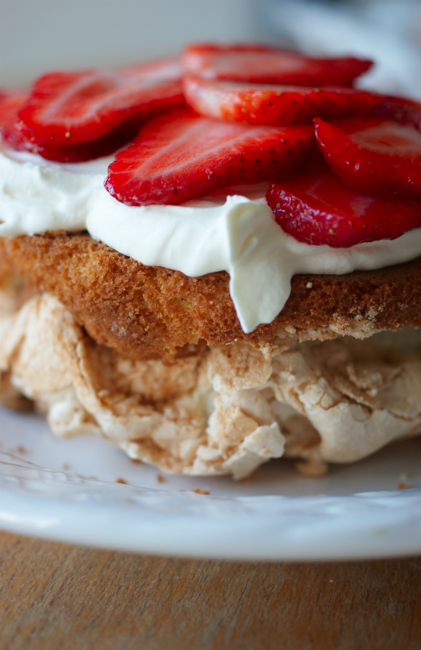 This meringue cake looks fantastic! I haven't made this before, but it looks so good that I might just have to try it! Such a beautiful dessert! I love pavlova and this reminds me of such dish! That looks ridiculously delicious!!!! Wow. it looks so good how do you put all the things you need in the middle ?? Just gorgeous... I know what you mean by half. It calls you from the fridge each time you pass...I think this is another of Nigella's at her seductive best!! Being from the U.S. can someone do an exchange on the amounts of the ingredients and oven temp. Thanks - it looks and sounds delicious. Anonymous - Here's the conversion table I use: http://uktv.co.uk/food/stepbystep/aid/574225. Hope that helps! Wow! That is beautiful!!! I want to try this out! I've been desperate to make this for ages! only thing is I have an aga ... im worried the meringue will be cooked before the cake. do you have any ideas on how i could go about doing it?